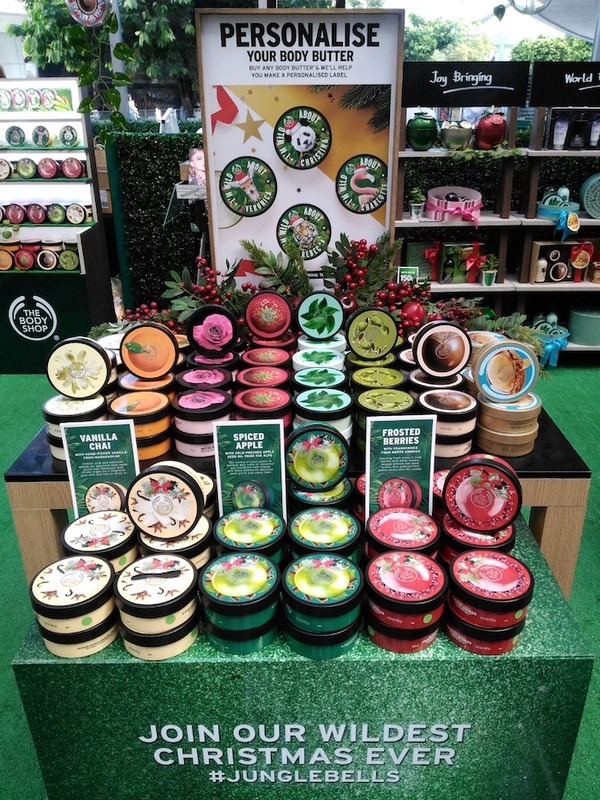 Confession: our household shops like cray at The Body Shop during the holiday season. With deals so hard to pass up on, we stash up on our lengthy list of "essentials" for giving and our home. 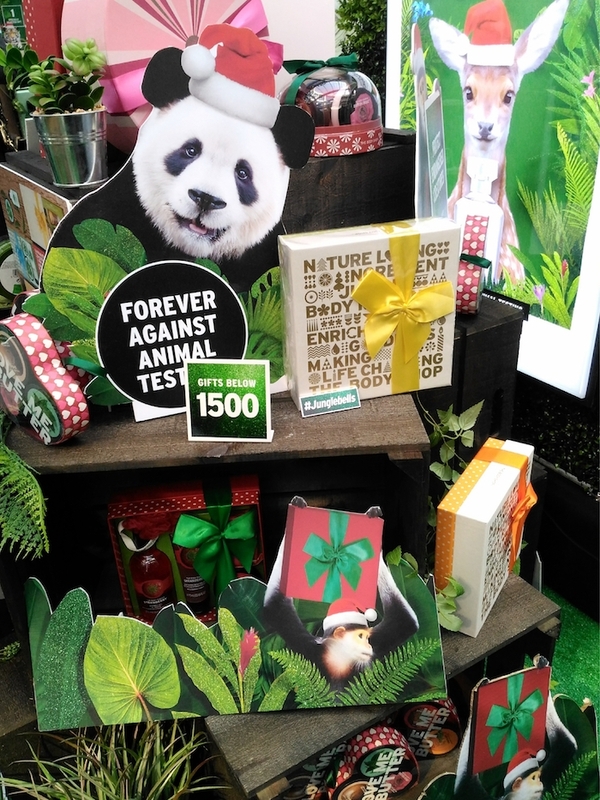 This year, they have presents as low as Php 150 that are guaranteed to bring good cheer. These irresistibly, shiny globes? Only Php 1595 each! Not a bad price to pay for a 60ml shower gel, 50ml body butter, 50ml sugar scrub, 60ml body lotion. 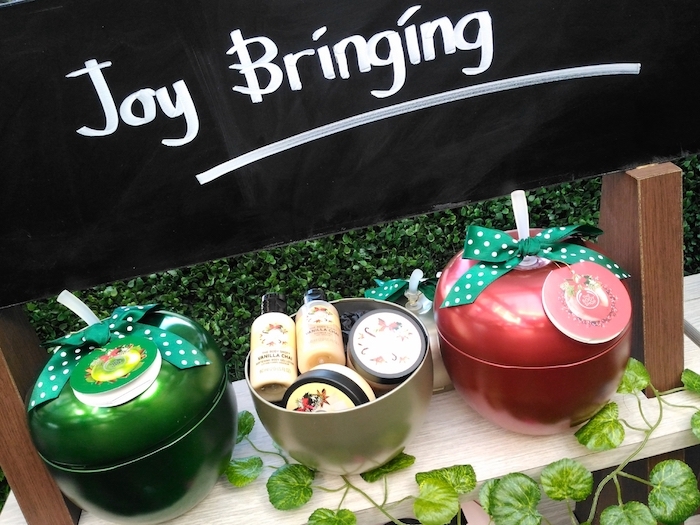 I had the chance to toy around this season's hottest scents and I'm head over heels the Spiced Apple (green) line. It's very fresh and fruity, exactly how I like my scents. The Vanilla Chai (cream) line is warm and rich (I can't wait for the chilly weather to envelope the metro!) while the Frosted Berries (red) is as fresh as the Spiced Apple line but definitely heaps juicier! All three holiday scents have 7 complementing products that you can mix and match or just grab a pre-made gift set and go. 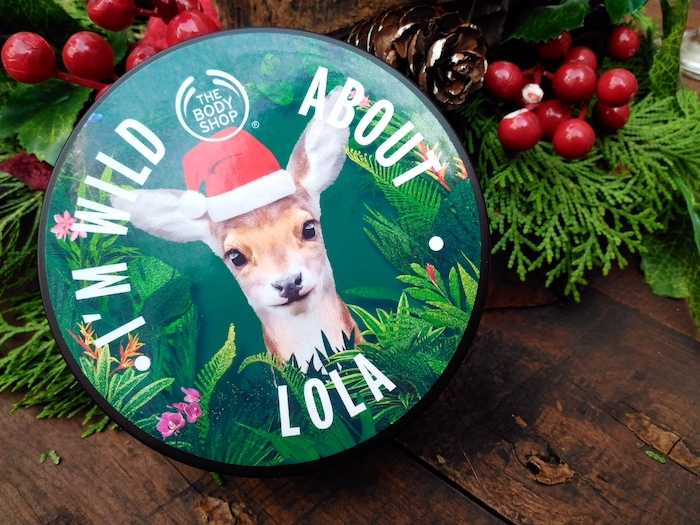 How cool is it that you can personalize the body butters' lids? 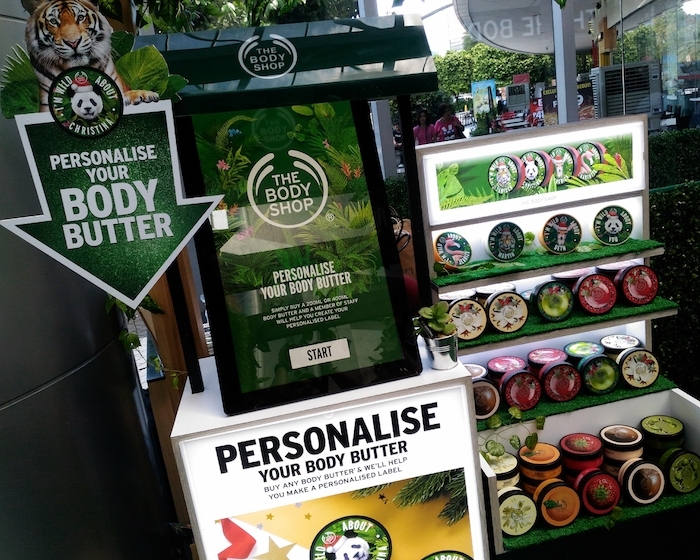 Kiosks like the ones below will rove around the metro (watch out their Facebook page for the schedule) for you to personalize your heart out...for free with every body butter purchase! 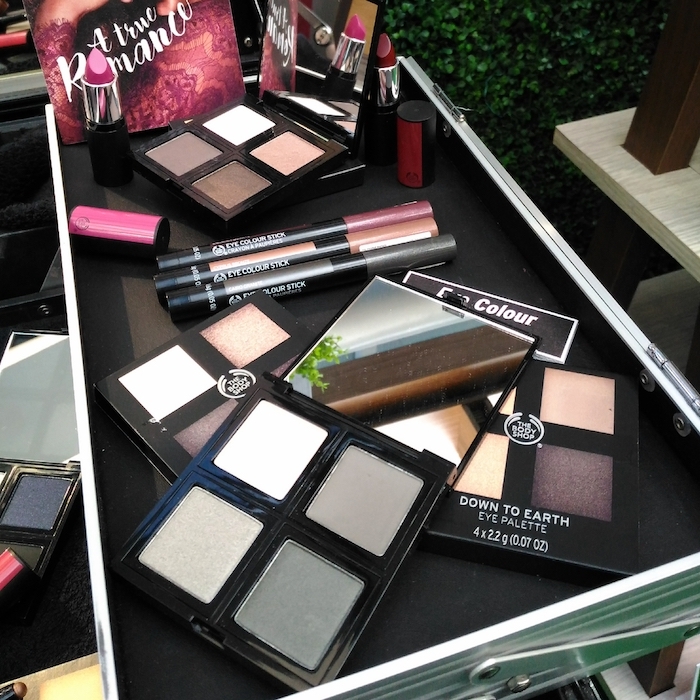 Not forgetting our faces, The Body Shop also had us peek into this holiday season's looks and make-up must-haves. 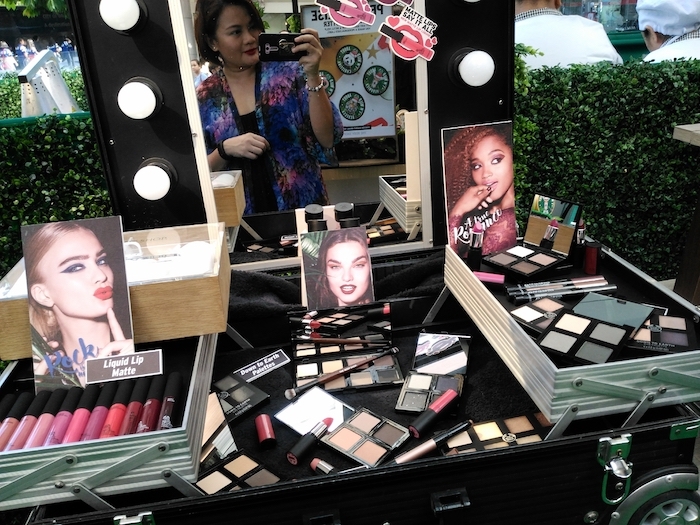 Each carefully curated look showcases one of six Down To Earth eyeshadow palettes (4 shades -Php 1395, 8 shades - Php 1995), a shimmering Eye Colour Stick (Php 695) and a bold lip statement thanks to the Matte Lip Liquid Lipstick (11 shades - Php 495) or Matte Colour Crush Lipstick (Php 795). Lemming for these make-up numbers? They're on intro sale! How wild can you go? 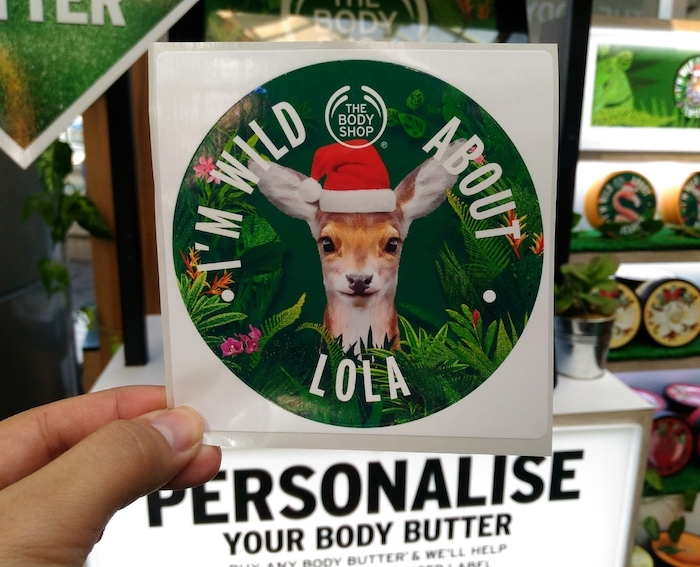 We're asking because we went extremely wild in giving you the exclusive offers and discounts! 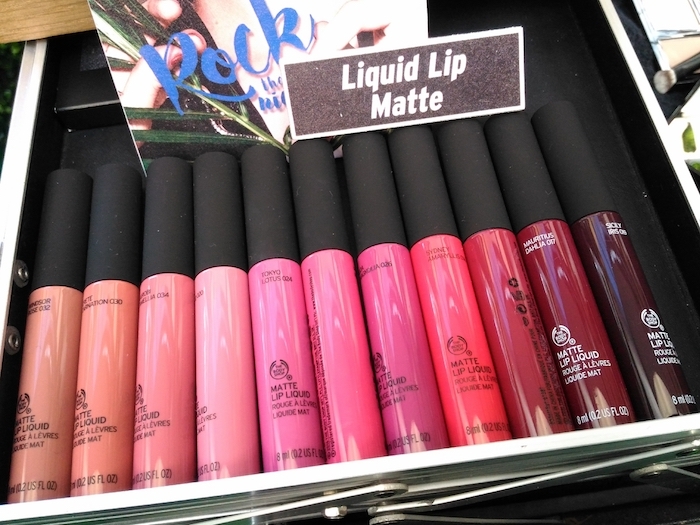 Get your Matte Lip Liquid for P350! 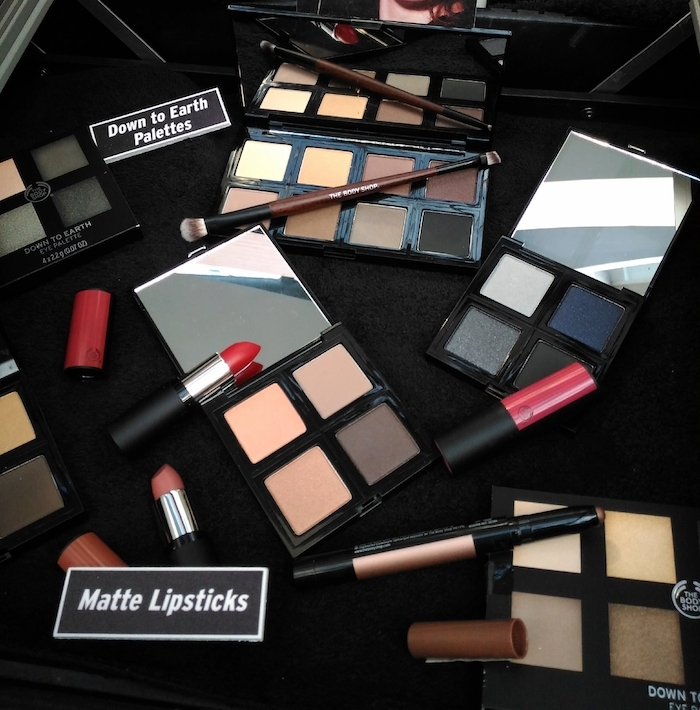 Get P200 off on Matte Lipsticks, and 25% off on Down to Earth palette! What are you waiting for?